Whether you’re a foodie after the local Dutch drink specialties, someone visiting Amsterdam for the first time, or just a Dutchie interested in trying some new things, this post is for you. Not all of these are popular drinks in the Netherlands, but you might be surprised by how much you love some of these alcoholic beverages in the Netherlands. Many of these are quite strong, so we recommend trying these slowly over the course over a longer time period responsibly. You will not find some of Dutch alcohols easily. This guide comes with a FREE printable/downloadable PDF of traditional Dutch alcohol at the bottom to show to your bartender and/or local liquor store as we know how hard it is pronounce some of these names. Let’s get the basics out of the way: Some of these are strong (and hide it well), so seriously, drink responsibly. This is intended for people OVER the legal drinking age (the drinking age in the Netherlands is 18). Don’t mix any of these with ANY other substance. Don’t drink and drive. We’ve ranked these from easy to damn near impossible to find. Jacob and I have done the hard research for you all, including which Dutch liquor brands to ask for at the bar and which drinks are actually good alcoholic drinks. Level: Easy. You can easily find these Dutch alcoholic beverages. If you’re looking for just ONE dutch alcohol to try over a short trip, try genever, which also happens to be the crossword answer to “dutch spirit drink.” Yes, it’s that famous. 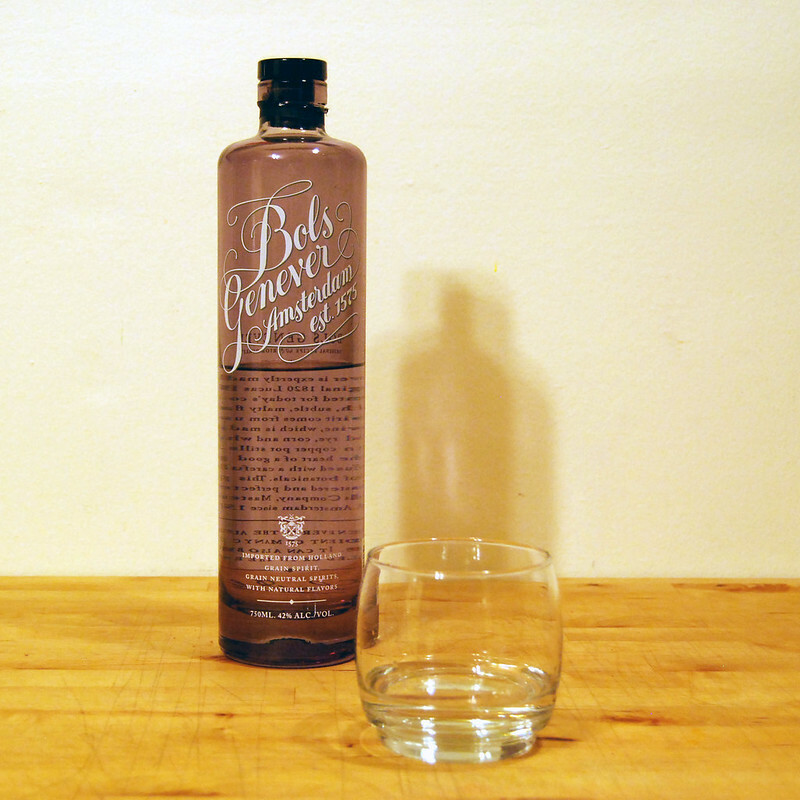 Genever is a traditional Dutch liquor that is the precursor to modern day gin. The story goes that Jenever was once a popular export to England, however shipments were halted at some point in history due to hostilities breaking out. Bereft of Jenever, the English tried their own hand at making the drink, creating what is modern gin. After hostilities ended, the English sent some of their gin to Netherlands who took to it immediately. Genever is nowadays considered an old-man kind of drink, but is still easily found. It is certainly not for the faint hearted and does not enjoy the same popularity as gin. It is typically taken straight and is very strong. If you decide to try it, there are two varieties: Young Jenever (Jonge Genever) and Old Jenever (Oude Genever). Young Jenever is an easier experience as Old Jenever is much stronger with a more pungent flavor. You’ve been warned. The most famous Jenever brand in the Netherlands is Bols. If you’re curious about Jenever, you can got to their tasting room for the experience…or save your euros for any Dutch bar. I recommend Jonge Jenever together with tonic for a first taste. Don’t embarrass yourself: That Buzzfeed video showing you how to drink jenever is wrong. How to drink jenever: You just sip the tiny amount near the top before sipping it. Don’t take it as a shot although you can get it with a beer. Thanks England! You’ll have no problem finding a bar that has a nice selection of nice gins behind the counter. The Dutch prefer their gin with tonic and often there quite a few flavors of tonic one can choose from. In liquor stores, one can find some very exotic tonics of the likes of watermelon and strawberry. There are even gin and tonic bars in Amsterdam For those of you who love gin and tonic, I think of a gin & tonic (G&T) as the perfect thing to drink in Amsterdam on a humid summer night. This bitter orange liqueur is a favorite for King’s Day due to its iconic color (orange is kind of a big deal here in the Netherlands). It was created in the 1600s in honor of battles won by Prince Frederik Hendrik. The Beerenburg spices are a secret spice mix that have been popularized in quite a few Dutch spirits that hide their strength behind tasty spices. The Berenburg spices were originally created by ONE merchant in Amsterdam. The spellings are nonstandardized as different producers/regions have their own take on using these spices in alcohol, which are typically soaked up to 24 hours. Some of the most famous brands include Bokma, Sonnema, Weduwe Joustra, Plantinga, Berenburg, and Hooghoudt Kalmoes.If you enjoy anise, this spirit is for you.As I sit here writing this, I have a small glass of Weduwe Joustra (one variant) at my side, as I have fallen in love with it. Often described as the Dutch answer to Jaegermeister, the description really gives the wrong impression. The liquor (whose name translates to Widow Joustra) was envisioned by a Dutch widow (named Joustra, obviously) as a way to make money after her husband had died. She wanted to make something distinct from Genever and teamed up with a company that dealt in spices (Beerenburg) which she used to spice the liquor. The spices take much of the edge off the liquor, making it wonderful to simply sip on its own while still tasting very much like liquor. For those of you overly concerned about my comparison to Jaegermeister, the spices are of a different flavor (no licorice flavoring) and the liquor is not nearly as strong. Furthermore, it is a classy drink, with connotations of sipping on a small glass to keep warm at night. Not for shots. It can be found in most liquor stores, but don’t expect to see it in many bars except in specific regions outside of Amsterdam. If you’re wondering what to drink in the Netherlands, I recommend seeking this one out. Another Dutch spiced liquor is Schrobbeler. This alcohol is much sweeter than Weduwe Joustra and more obviously herbal. It tastes strongly of licorice as a warning for those who don’t like that flavor. Apart from that, Schrobbeler is a very easy drink to enjoy. Some bars carry a bottle under the counter although it is generally not advertised. You can easily find it in any liquor store. This jenever derivative is more of a malt wine (hence the name) than its jenever counterparts. It’s fairly strong as it incorporates various grains into it including wheat in …ethanol form. It is produced by Bols and it’s most comparable to a whiskey. Possible to find if you try hard enough, but guaranteed to be found at the liquor store. Level: Medium. Harder to find, but possible with effort. This is the Dutch take on cognac. France (the world’s largest cognac producer) did not like with the fact that the Netherlands was claiming that this was cognac, so they’ve now renamed this beverage Vieux. Can be found at many bars. Order with a cola. Say it with your thickest French accent. Advocaat is a traditional Dutch alcohol made from eggs, sugar, and brandy. It tastes like custard although it has a strong aftertaste. …The taste reminds me of the white part of the inside of the Cadbury Creme Egg, except for adults. Advocaat is also the word for lawyer in Dutch and seems to have been named as lawyers liked to drink this to prepare for trials back in the 1800s. Possible to find at some restaurants where they make their own advocaat. It’s often served as a dessert or ON a dessert. It’s kind of an grandmother’s drink, but I have to say: they have good taste! This liquor made with the Beerenburg spices, which is functionally the tasty fusion of Schrobbeler and Weduwe Joustra. Juttertje goes down a bit too easily and comes from the beautiful Dutch island of Texel. You can actually find this drink outside of Texel in your neighborhood liquor store. Even for those who hate licorice, this drink is NOT like that, so don’t be alarmed if the liquor clerk asks if you like Jaegermeister. The taste is far smoother and tastier. I’ve never seen it at a bar, however the bottle will go down smoothly, maybe a little too smoothly. This newercreamy Dutch liquor is made with coconut and banana with the consistency of a creamy drink. You can order it by itself on the rocks, but it is often paired with pineapple juice or orange juice. Available at some bars. Dropshot is a newer Dutch liqueur made with licorice made by Kuyper. As a licorice hater, I have tried [and regretted] this one as it’s too licorice-y for me. Fun fact: Dutchies love licorice, so if you love it, try this. It was recently relaunched and it is possible to find this at supermarkets [Jumbo]. It is very salty. Another Dutch herbal liquor, and this one is a crowd pleaser as it is very sweet and smooth and not very strong. Unfortunately there are only two locations where it can be found: Castle Muiderslot (which is a great day trip from Amsterdam) and on the island of Texel in the North of the Netherlands. It is named in honor of a Dutch female enlightenment era figure nicknamed Tessltje. She lived on the island of Texel, hence the name. She was a member of the Muiderkring, which was group of intellectuals who frequently met at Castle Muiderslot for discussions and socializing. Hence the two locations where this drink can be found. On their wedding day, it’s an old tradition to give the married couple (in particular the bride) a bottle of this spiced cinnamon alcohol with 24 karat gold flakes inside. It’s sold as Goldstrike at the liquor store. Whenever the couple has a fight, the bride is supposed to give the groom a glass of this strong liquor as a reminder of the tears that she cried on her wedding day. We received two bottles of this after getting married…and it’s more punishment than treat admittedly as the the taste brings back bad college memories. That said, I’m excited to try out some new cocktail recipes that include this drink, preferably ones that hide the taste. You can find a homemade version at Van Kleef in the Hague. This unique beverage, which tastes similar to Jutterje, can only be found in the Hague at Van Kleef. Van Kleef is both a jenever museum as well as as shop, so you can try many of these drinks there. Kruide Baggah is pretty smooth and a nice digestif. Ready to get started on this must try Dutch liquor list? Save this free PDF to your phone OR print it to bring with you to the bar! The most popular one is a chain called Gall & Gall. Pronounce it like like you have something caught in your throat (cH-all & cH-all). Don’t repeat my embarrassing mistake of asking for this store as if it was English. 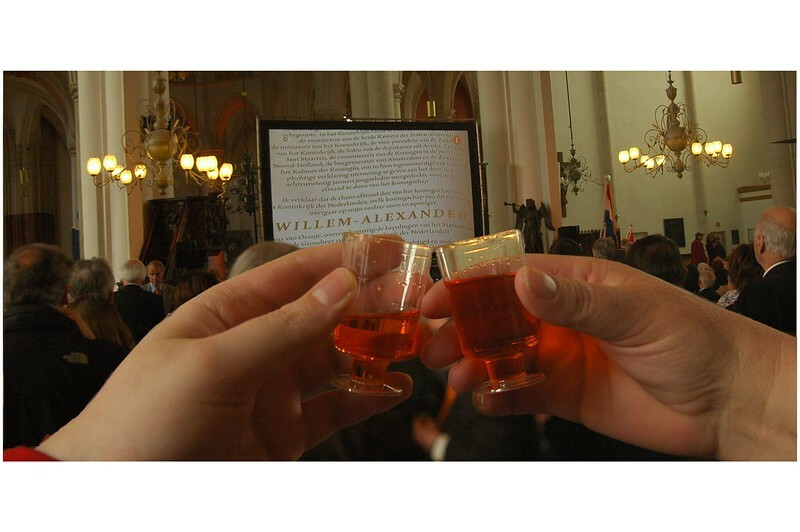 Have you tried of any of these Dutch alcohols? Which alcoholic drinks sound most appetizing to you? Any that I’ve missed that you love? You might be interested in our ultimate guide to beer in Amsterdam, Beautiful Dutch Cities Outside of Amsterdam, The Local’s Guide to Amsterdam, Neighborhood Guide to Amsterdam. I love the sound of these unique beverages! I’d like to try Tesseltje as I enjoy anything sweet. I also like the fact that you can only find it in two locations, going to take note of that as a day trip from Amsterdam. Totally saving this list! I want to try the Oranjebitter and Beerenburg next time in Holland. I’ve had Dutch gin and Jenever. Hahaha, OMG you are one brave person!! I used to drink schrobbelaer during carnaval in the south and have some very unpleasant memories on boswandeling, and dropshot for that matter 😉 Advocaat is really seen as an old wives drink and my grans used to have some at birthdays. I still have that image of myself, at 85, sitting somewhere having an advocaat, haha. Haha, it’s been a fun article to write. I don’t mind schrobbeler and there’s even a bar in Amsterdam who remembers my husband’s love of it..and they give us free glasses just because nobody else orders it. I have tried dropshot (I realize) and regretted it. I realize some of these are more…old wives drinks but there is something fun about learning about culture via food/drinks (even if it’s not really an elderly person’s drink). I do find advocaat quite tasty, so I could see why your grandmother liked it so much. I LOVE trying new drinks when I’m in a different country. We drank so much Mezcal in Mexico. The further east you go in Europe the crazier it gets. We also tried a couple of those ‘shot bars’ for vodka in Poland. I’ve had Advocat before but don’t think I’ve come across the others. I’ve definitely had gin in a club in Amsterdam but not sure it was Dutch! I do too! Mexico is really high on my bucket list and I think it would be great to learn more about the history…. Gin here is TYPICALLY British, but the good stuff is Dutch! I love trying local liqueurs but missed most of these when we last visited. We did find a brand that made a range of liqueurs including a speculoos one and an amaretti-style one. These are now on my list to track down next visit. Very informative post! Though I would pass on the Genever (am not a gin fan), Boswandeling sounds like something I’d sneak into an adults-only smoothie! I had a pub crawl in Amsterdam years ago- have to return for the more sophisticated version, armed with this knowledge 🙂 Thanks for sharing it! Sally, don’t be fooled into thinking that gin and Jenever taste the same, purely because one is an attempt at reinventing the other: the tastes are totally different. Loved this! I’m a big fan of discovering a place through its drinking culture, so I’ll definitely be bookmarking this one! Such a thorough article! I love the history and how to drink tidbits of information. Really helpful! I also love the “levels”, because I’m definitely not the best at holding my liquor. So I know exactly where to start. Wow I never knew there were this many choices for alcohol in the Netherlands! So interesting! The one you like with the spices sounds really nice. I’m also all about trying the custard one!! Thanks for doing all this…ahem…”research”. LOL! We have a lot of dutch gin and genever in our cabinet, my boyfriend is a gin guy. 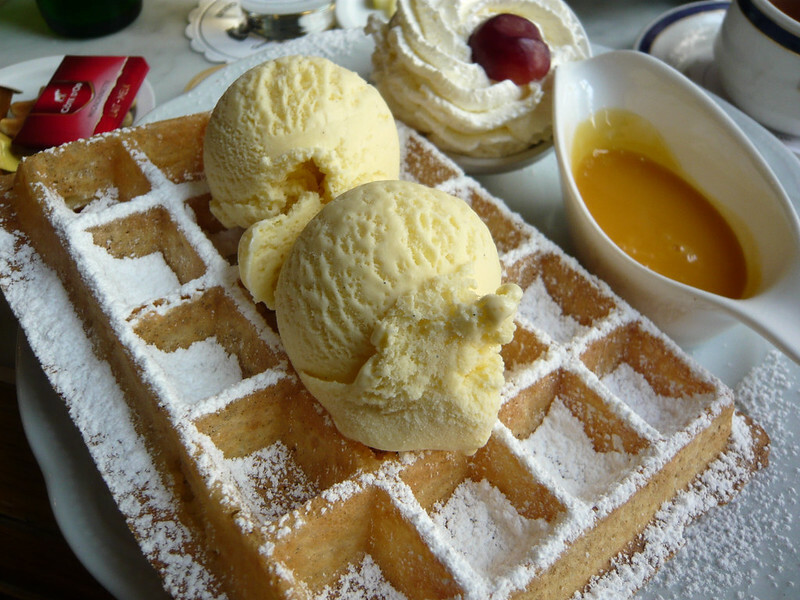 I would really like to try the Juttertje and see what it tastes like! Great list Karen, I need to get drinking. Such a thorough, and extremely informative post! Their are several I’d love to try, but Tesseltje sounds so intriguing (maybe because I like hard to come by things)! I’m definitely using your checklist on our next trip there! Thanks Karen! I’ve only heard of one of these. We used to drink Advocaat and lemonade (a snowball) at Christmas, many years ago. I’ve not tried it since but I used to love it! Will have to get some for this year. I’d love to try some of their gins too someday. Yup I have barely heard of most but now I want to try all, especially Tesseltje! I’ll definitely share this with my dutch friends, this is a great list! I actually haven’t had this one yet. Thanks for the tip. 😉 I might need to head to Gall and Gall to try it out. It sounds pretty decent actually, although I think the shopkeeper might look at me funny.